a2b Fulfillment, a leading provider in business support services including Order Fulfillment and Customer Care, has announced the appointment of Troy Pendergrass as Director of Operations. Troy is an accomplished Operations Management Professional with more than 20 years of leadership, decision-making, change management and supervisory experience within the logistics space. As Director of Operations with a2b, Troy serves as the day-to-day leader for the company’s Greensboro, GA warehouse facility. Pendergrass and his wife, Linda, made the move to Georgia from their previous home in south Florida. They have a daughter, Jordan, attending the University of Central Florida and the couple is looking forward to celebrating 25 years of marriage next year. 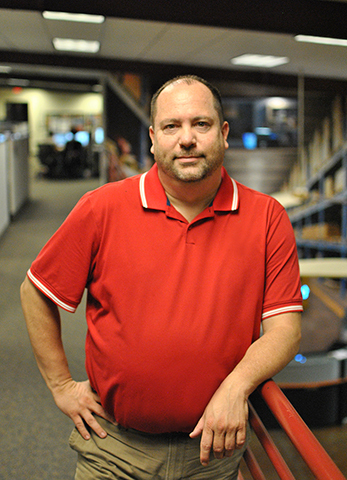 Outside of running the day-to-day operations of a2b Fulfillment, Troy is an avid Oregon Ducks fan and golf enthusiast.